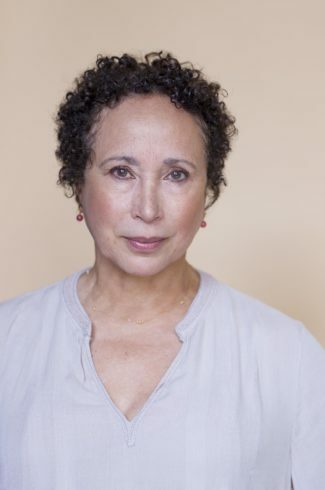 Virginia Johnson, now Dance Theatre of Harlem Artistic Director, was a founding member and principal dancer with the company for more than twenty years. Born in Washington, DC, she graduated from the Academy of the Washington School of Ballet and briefly attended the School of the Arts at New York University as a University Scholar before joining DTH in 1969. Universally recognized as one of the great ballerinas of her generation she is perhaps best known for her performances in the ballets Giselle, A Streetcar Named Desire, and Fall River Legend. During her years with the company, she performed most of the repertoire, with principal roles in Concerto Barocco, Allegro Brillante, Agon, A Streetcar Named Desire, Fall River Legend, Swan Lake, Giselle, Voluntaries, and Les Biches, among others, several of which were recorded for broadcast on PBS, network television and cable. Her choreographic credits include the television film Ancient Voices of Children, and works for Goucher College, Dancers Responding to AIDS, the Second Annual Harlem Festival of the Arts, Thelma Hill Performing Arts Center, and Marymount Manhattan College, where she was an adjunct professor. While still performing, her interest in journalism led her to Fordham University. After retiring from performing, she received an Independent Artist Grant from The Field that opened doors to arts producing. She attended the School of Visual Arts where she studied drawing, film making and television production before the opportunity to create POINTE magazine presented itself. She was founding editor-in-chief from 2000-2009. Her honors include a Young Achiever Award from the National Council of Women, Outstanding Young Woman of America, and the Dance Magazine Award, a Pen and Brush Achievement Award, the Washington Performing Arts Society’s 2008-2009 Pola Nirenska Lifetime Achievement Award, the 2009 Martha Hill Fund Mid-Career Award and an honorary doctorate from Cornish College of the Arts. In February 2016 she was honored by First Lady Michelle Obama at the White house for her contribution to the field of dance. In 2018 she held the Brackett Visiting Artist Chair at the University of Oklahoma and is the recipient of the 2019 CORPS de Ballet International Lifetime Achievement Award. Candidates must have furthered the growth of ballet in higher education and/or made valuable contributions to ballet departments, through administration, teaching, choreography, mentoring or research. Candidates must have worked for or with an academic institution for at least five years. Candidates must have a prior or current relationship (choreographer,teacher, dancer, writer, historian etc.) with the professional world of ballet. The body of the CORPS (all members) shall submit nominees to the awards committee, via email, by September30 of the year prior to the year the award will be given. Nominees should be sent to an awards committee member. With the name of the nominee, included a brief (one to two sentence) reason why you are nominating the particular candidate. The awards committee will then narrow the field of candidates to five and send the selection to the board of directors. The board of directors shall vote choosing the top three candidates and then submit the final three to the membership. The membership, via email, will then vote for the final candidate. The president of the CORPS will receive the final count and announce to the membership the next CORPS de Ballet International Inc. award recipient.